^ HTML 5.2. W3C. 2017-12-14 [2018-03-02]. ^ HTML 5.3 Editor’s Draft. W3C. 2017-03-01 [2018-03-02]. ^ HTML 4.0 Specification — W3C Recommendation — Conformance: requirements and recommendations. World Wide Web Consortium. 1997-12-18 [2015-07-06]. （原始内容存档于2015-05-15）. ^ Tim Berners-Lee, "Information Management: A Proposal." CERN (March 1989, May 1990). W3.org 互联网档案馆的存檔，存档日期2010-04-01. ^ Tim Berners-Lee, "Design Issues" 互联网档案馆的存檔，存档日期2009-05-03. ^ Tim Berners-Lee, "Design Issues" 互联网档案馆的存檔，存档日期2009-06-25. ^ 8.0 8.1 8.2 Tags used in HTML. World Wide Web Consortium. 1992-11-03 [2008-11-16]. （原始内容存档于2010-01-31）. ^ First mention of HTML Tags on the www-talk mailing list. World Wide Web Consortium. 1991-10-29 [2007-04-08]. （原始内容存档于2007-02-24）. ^ Index of elements in HTML 4. World Wide Web Consortium. 1999-12-24 [2007-04-08]. （原始内容存档于2007-05-05）. 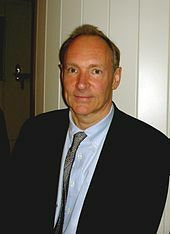 ^ Tim Berners-Lee. Re: SGML/HTML docs, X Browser (archived www-talk mailing list post). 1991-12-09 [2007-06-16]. （原始内容存档于2007-12-22）. SGML is very general. HTML is a specific application of the SGML basic syntax applied to hypertext documents with simple structure. ^ Raymond, Eric. IETF and the RFC Standards Process. The Art of Unix Programming. （原始内容存档于2005-03-17）. In IETF tradition, standards have to arise from experience with a working prototype implementation — but once they become standards, code that does not conform to them is considered broken and mercilessly scrapped. ...Internet-Drafts are not specifications; software implementers and vendors are specifically barred from claiming compliance with them as if they were specifications. Internet-Drafts are focal points for discussion, usually in a working group... Once an Internet-Draft has been published with an RFC number, it is a specification to which implementers may claim conformance. It is expected that the authors of the RFC and the community at large will begin correcting the specification with field experience. ^ HTML+ Internet-Draft — Abstract. （原始内容存档于2012-12-21）. Browser writers are experimenting with extensions to HTML and it is now appropriate to draw these ideas together into a revised document format. The new format is designed to allow a gradual roll over from HTML, adding features like tables, captioned figures and fill-out forms for querying remote databases or mailing questionnaires. ^ Berners-Lee, Tim; Connelly, Daniel. RFC 1866 – Hypertext Markup Language – 2.0. Internet Engineering Task Force. November 1995 [2010-12-01]. （原始内容存档于2011-02-24）. This document thus defines an HTML 2.0 (to distinguish it from the previous informal specifications). Future (generally upwardly compatible) versions of HTML with new features will be released with higher version numbers. ^ 15.0 15.1 15.2 Raggett, Dave. Raggett on HTML 4. 1998 [2007-07-09]. （原始内容存档于2007-06-25）. ^ HTML5 – Hypertext Markup Language – 5.0. Internet Engineering Task Force. 2014-10-28 [2014-11-25]. （原始内容存档于2014-11-02）. This document recommends HTML 5.0 after completion. ^ HTML 3.2 Reference Specification. World Wide Web Consortium. 1997-01-14 [2008-11-16]. （原始内容存档于2010-06-19）. ^ 19.0 19.1 Arnoud Engelfriet. Introduction to Wilbur. Web Design Group. [2007-06-16]. （原始内容存档于2007-07-05）. ^ HTML 4.0 Specification. World Wide Web Consortium. 1997-12-18 [2008-11-16]. （原始内容存档于2011-06-08）. ^ HTML 4 – 4 Conformance: requirements and recommendations. [2009-12-30]. （原始内容存档于2010-01-06）. ^ HTML 4.0 Specification. World Wide Web Consortium. 1998-04-24 [2008-11-16]. （原始内容存档于2008-07-27）. ^ HTML 4.01 Specification. World Wide Web Consortium. 1999-12-24 [2008-11-16]. （原始内容存档于2008-11-15）. ^ 24.0 24.1 ISO. ISO/IEC 15445:2000 – Information technology – Document description and processing languages – HyperText Markup Language (HTML). 2000 [2009-12-26]. （原始内容存档于2009-07-07）. ^ Cs.Tcd.Ie 互联网档案馆的存檔，存档日期2007-12-02.. Cs.Tcd.Ie (2000-05-15). Retrieved on 2012-02-16. ^ HTML5: A vocabulary and associated APIs for HTML and XHTML. World Wide Web Consortium. 2014-10-28 [2014-10-31]. （原始内容存档于2014-10-30）. ^ Open Web Platform Milestone Achieved with HTML5 Recommendation (新闻稿). World Wide Web Consortium. 2014-10-28 [2014-10-31]. （原始内容存档于2014-10-30）. ^ Connolly, Daniel. MIME as a hypertext architecture. CERN. 1992-06-06 [2010-10-24]. （原始内容存档于2010-12-26）. ^ Connolly, Daniel. HTML DTD enclosed. CERN. 1992-07-15 [2010-10-24]. （原始内容存档于2010-11-20）. ^ Connolly, Daniel. document type declaration subset for Hyper Text Markup Language as defined by the World Wide Web project. CERN. 1992-08-18 [2010-10-24]. （原始内容存档于2012-03-14）. ^ 31.0 31.1 Connolly, Daniel. Document Type Definition for the Hyper Text Markup Language as used by the World Wide Web application. CERN. 1992-11-24 [2010-10-24]. （原始内容存档于2012-01-18）. See section "Revision History"
^ Berners-Lee, Tim; Connolly, Daniel. Hyper Text Markup Language (HTML) Internet Draft version 1.1. IETF IIIR Working Group. June 1993 [2010-09-18]. （原始内容存档于2010-11-16）. ^ Berners-Lee, Tim; Connolly, Daniel. Hypertext Markup Language (HTML) Internet Draft version 1.2. IETF IIIR Working Group. June 1993 [2010-09-18]. （原始内容存档于2009-04-15）. ^ Berners-Lee, Tim; Connolly, Daniel. HyperText Markup Language Specification – 2.0 INTERNET DRAFT. IETF. 1994-11-28 [2010-10-24]. （原始内容存档于2010-08-19）. ^ HTML 3.0 Draft (Expired!) Materials. World Wide Web Consortium. 1995-12-21 [2008-11-16]. （原始内容存档于2008-10-25）. ^ 36.0 36.1 HyperText Markup Language Specification Version 3.0. [2007-06-16]. （原始内容存档于2007-07-06）. ^ Raggett, Dave. HyperText Markup Language Specification Version 3.0. HTML 3.0 Internet Draft Expires in six months. World Wide Web Consortium. 1995-03-28 [2010-06-17]. （原始内容存档于2010-03-14）. ^ Bowers, Neil. Weblint: Just Another Perl Hack. （原始内容存档于2011-05-11）. ^ Lie, Håkon Wium; Bos, Bert. Cascading style sheets: designing for the Web. Addison Wesley Longman. April 1997: 263 [2010-06-09]. ^ HTML5. World Wide Web Consortium. 2008-06-10 [2008-11-16]. （原始内容存档于2015-06-03）. ^ HTML5, one vocabulary, two serializations. [2009-02-25]. （原始内容存档于2008-12-17）. ^ W3C Confirms May 2011 for HTML5 Last Call, Targets 2014 for HTML5 Standard. World Wide Web Consortium. 2011-02-14 [2011-02-18]. （原始内容存档于2012-06-07）. ^ Hickson, Ian. HTML Is the New HTML5. [2011-01-21]. （原始内容存档于2012-06-07）. ^ HTML5 gets the splits.. netmagazine.com. [2012-07-23]. （原始内容存档于2012-07-25）. ^ HTML5. W3.org. 2012-12-17 [2013-06-15]. （原始内容存档于2013-06-20）. ^ Call for Review: HTML5 Proposed Recommendation Published W3C News. W3.org. 2014-09-16 [2014-09-27]. （原始内容存档于2014-09-26）. ^ Open Web Platform Milestone Achieved with HTML5 Recommendation. W3C. 2014-10-28 [2014-10-29]. （原始内容存档于2014-10-28）. ^ HTML5 specification finalized, squabbling over specs continues. Ars Technica. 2014-10-29 [2014-10-29]. （原始内容存档于2014-10-29）. ^ XHTML 1.0: The Extensible HyperText Markup Language (Second Edition). World Wide Web Consortium. 2000-01-26 [2008-11-16]. （原始内容存档于2008-11-14）. ^ XHTML 1.1 – Module-based XHTML — Second Edition. World Wide Web Consortium. 2007-02-16 [2008-11-16]. （原始内容存档于2008-11-14）. ^ XHTM 2.0. World Wide Web Consortium. 2006-07-26 [2008-11-16]. （原始内容存档于2008-11-15）. ^ XHTML 2 Working Group Expected to Stop Work End of 2009, W3C to Increase Resources on HTML5. World Wide Web Consortium. 2009-07-17 [2008-11-16]. （原始内容存档于2011-01-15）. ^ W3C XHTML FAQ. （原始内容存档于2012-06-07）. ^ HTML5. W3C. 2013-10-19. （原始内容存档于2013-10-20）. ^ Activating Browser Modes with Doctype 互联网档案馆的存檔，存档日期2011-03-14.. Hsivonen.iki.fi. Retrieved on 2012-02-16. ^ HTML Elements. w3schools. [2015-03-16]. （原始内容存档于2015-03-15）. ^ CSS Introduction. W3schools. [2015-03-16]. （原始内容存档于2015-03-17）. ^ On SGML and HTML. World Wide Web Consortium. [2008-11-16]. （原始内容存档于2008-11-17）. ^ XHTML 1.0 – Differences with HTML 4. World Wide Web Consortium. [2008-11-16]. （原始内容存档于2008-12-21）. ^ Korpela, Jukka. Why attribute values should always be quoted in HTML. Cs.tut.fi. 1998-07-06 [2008-11-16]. （原始内容存档于2008-11-21）. ^ Objects, Images, and Applets in HTML documents. World Wide Web Consortium. 1999-12-24 [2008-11-16]. （原始内容存档于2008-03-12）. ^ H56: Using the dir attribute on an inline element to resolve problems with nested directional runs. Techniques for WCAG 2.0. W3C. [2010-09-18]. （原始内容存档于2010-11-09）. ^ Character Entity Reference Chart. World Wide Web Consortium. 2012-10-24. （原始内容存档于2013-08-14）. ^ The Named Character Reference &apos;. World Wide Web Consortium. 2000-01-26. （原始内容存档于2009-02-12）. ^ The Unicode Standard: A Technical Introduction. [2010-03-16]. （原始内容存档于2010-03-10）. ^ "HTML: The Markup Language (an HTML language reference)" 互联网档案馆的存檔，存档日期2015-10-17.. Retrieved 2013-08-19. ^ Berners-Lee, Tim; Fischetti, Mark. Weaving the Web: The Original Design and Ultimate Destiny of the World Wide Web by Its Inventor. San Francisco: Harper. 2000. ISBN 978-0-06-251587-2. ^ Raggett, Dave. Adding a touch of style. W3C. 2002 [2009-10-02]. （原始内容存档于2009-10-06）. This article notes that presentational HTML markup may be useful when targeting browsers "before Netscape 4.0 and Internet Explorer 4.0". See the list of web browsers to confirm that these were both released in 1997. ^ Tim Berners-Lee, James Hendler and Ora Lassila. The Semantic Web. Scientific American. 2001 [2009-10-02]. （原始内容存档于2009-10-01）. ^ Nigel Shadbolt, Wendy Hall and Tim Berners-Lee. The Semantic Web Revisited (PDF). IEEE Intelligent Systems. 2006 [2009-10-02]. （原始内容存档 (PDF)于2009-09-18）. ^ HTML: The Living Standard. WHATWG. [2018-09-27]. ^ XHTML 1.0 The Extensible HyperText Markup Language (Second Edition). World Wide Web Consortium. 2002  [2008-12-07]. （原始内容存档于2008-12-04）. XHTML Documents which follow the guidelines set forth in Appendix C, "HTML Compatibility Guidelines" may be labeled with the Internet Media Type "text/html" [RFC2854], as they are compatible with most HTML browsers. Those documents, and any other document conforming to this specification, may also be labeled with the Internet Media Type "application/xhtml+xml" as defined in [RFC3236]. ^ RFC 2119: Key words for use in RFCs to Indicate Requirement Levels. Harvard University. 1997 [2008-12-07]. （原始内容存档于2008-12-06）. 3. SHOULD This word, or the adjective "RECOMMENDED", mean that there may exist valid reasons in particular circumstances to ignore a particular item, but the full implications must be understood and carefully weighed before choosing a different course. ^ XHTML 1.1 – Module-based XHTML — Second Edition. World Wide Web Consortium. 2007 [2008-12-07]. （原始内容存档于2008-12-17）. XHTML 1.1 documents SHOULD be labeled with the Internet Media Type text/html as defined in [RFC2854] or application/xhtml+xml as defined in [RFC3236]. ^ Naming Files, Paths, and Namespaces. Microsoft. [2015-03-16]. （原始内容存档于2015-04-02）.